Probably a silly question (scratch that, very silly question), but who on tour sports the backwards hat? Add players and we’ll have a list on here. Let's limit this question to ATG's. Updated with a list, I’ll make one with former players the more we add. The one and only Marc Kevin Göllner! Tell me about Fed, why did he stop wearing the hat? 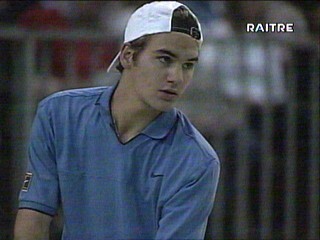 Young Fed looks like a guitarist of a Pearl Jam garage cover band. 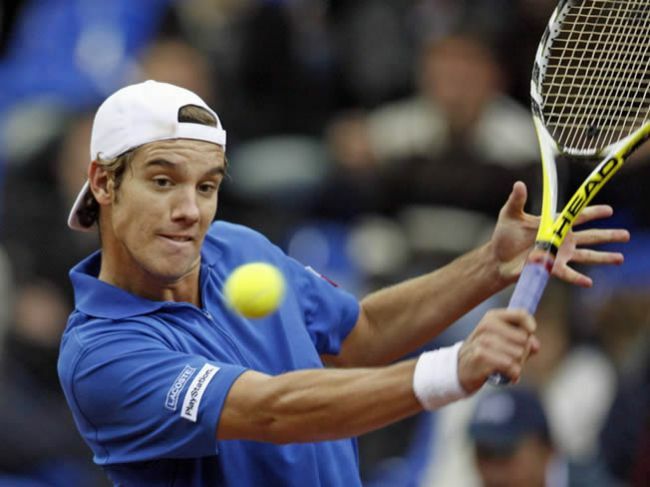 Moya wore the backward hat a lot also. The List Of Shame as far as I'm concerned! There is nothing naffer than wrearing a backwards cap. Do you ever see any of the top players do it? Most of those on the list are only occasional offenders. The chief culprits are Isner and Khachanov. Never do you see them without the stupid backwards cap, even when indoors! It's about time their coaches and family took them to one side and told them straight: "Lose the cap, John/Karen. You don't need it and you look so much better without it. It's a bad habit and it's high time you snapped out of it!" The last several times I saw Verdasco & Sock, they weren't wearing it. The only time I ever seen Isner without it is in the "tube" in London recently. He must've felt nekkid. Marc-KEVIN Goellner. Only because I was a fan back in the day and I remember he liked to use his middle name. Or maybe it was part of his first name ? Likes: OldschoolKIaus and vive le beau jeu ! seems he (successfully) tried to qualify for a future tournament (in turkey) in 2015, by the way ! Did Isner have a head?